These are vintage lucite cabochons that were made in Italy. 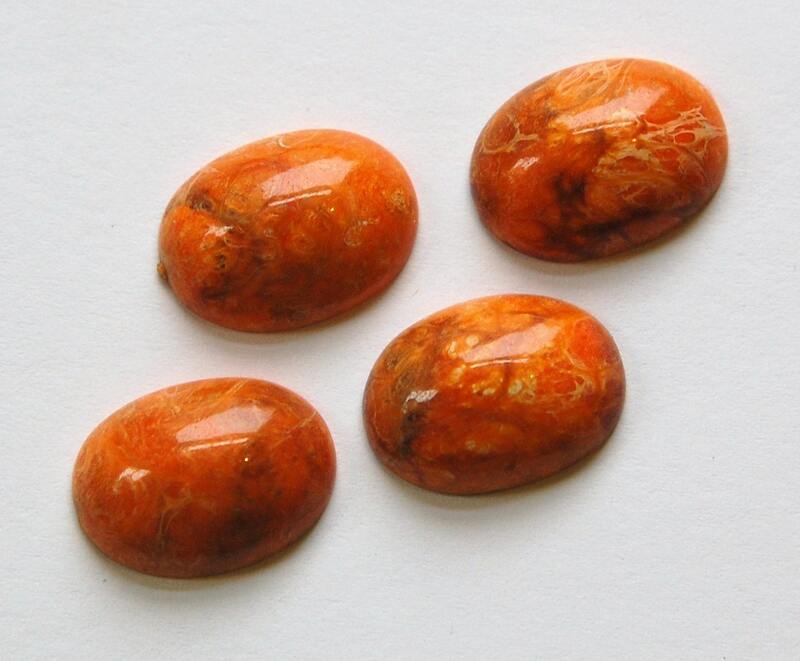 These are orange with a marbled design. These domed cabs measure 18mm x 13mm. You will receive 4 pieces. Fast and exactly as described, as always.